A tree stands as a bridge between Earth and sky. It absorbs its environment and becomes one with it. Roots explore the depths in the darkness while branches lift leaves high into the heavens to receive the illumination of light. The trunk of a tree is strong in its resolve – with no way to run, it embraces its place in the world by becoming the world. Such a tree produces life by giving of itself in the form of its fruits, each one containing its precious offspring – seeds that carry the wisdom of how to be in, of, with, and for the world. Trees are teachers of the Way, the Tao, bridging heaven and Earth, they reveal the conduct of enlightened beings. Throughout my writing I have discovered underlying values that live in the seeds of my ideas and the ways in which I express them. Compassion, inclusivity, mutual understanding and embodied presence are four essential values in this moment of my life. They are the ground from which my thoughts sprout, my words leave, and my actions bear fruit. As I contemplate the way in which these values exist in my life, it is a tree of life that I see. I approach the tree in the eye of my mind and suddenly realize that I am the tree. The tree that is me has a trunk of embodied presence. 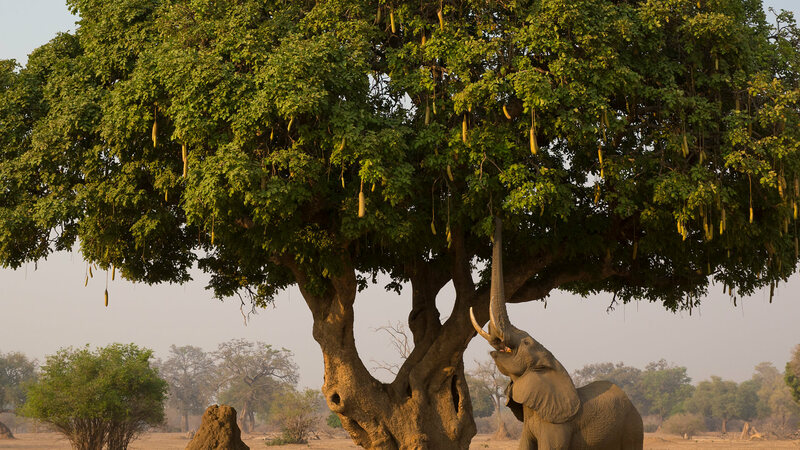 The trunk is the strongest and most solid aspect of the tree. For me, there is nothing more essential to my spiritual practice than remaining present in the intimacy of feeling all that is co-arising and interdependently informing the life of this very moment – sensations of the body, waves of emotion, thoughts as they pass by, the soundscape of the surroundings, the dynamic relationships that are ever evolving, changing, dissolving and being born in my life. Abiding in the feeling of what is present fills me with the capacity to live meaningfully and authentically with what is. Such embodied presence helps me to respond appropriately and integrally to the circumstances of each moment. Through this presence I can witness the amazing intelligence of the Universe that is always revealing itself like a flower forever unfurling its petals. The root system of my life tree is made of the value of inclusivity, a value I have carried since childhood. I can still feel the tender and painful wound of feeling like I don’t belong. From this wound and from the deep understanding that we are all interconnected, I grow roots into the Earth. I know we all share a common unity and I feel nourished when my roots can include and assimilate the diversity of Earthlings that collectively share this one planet called home. The tips of my roots grow when there is room for authenticity. Room for authenticity – honest and transparent existence – allows for sincerity, genuine love, creatively unique expression, and thus a deep sense of belonging that embraces the complex wholeness of life. Wholeness is indeed complex and is a challenge to live with when conflicting desires, views, and expressions arise from a diversity of beliefs and values, yet such an inclusive wholeness provides a clearer picture of reality. Wanting to be intimate with reality, my roots go on probing the dark depths for deeper authenticity, incorporating all that they touch into an ever more enriched sense of self. The branches and leaves of my tree of values reach toward the heavens for mutual understanding. My branches reach upward to attain a vast perspective, bringing my leaves closer to the light of understanding. With roots that feed me with the wisdom of belonging and interconnection, I strive to take in the diversity of the world as an equal participant, no lesser nor greater than others. When we can meet as equals, honored as unique, co-arising expressions of the Great Mystery, then true communication can occur. My branches, solidly connected to my trunk of embodied presence, reach out to others with curiosity. My leaves listen and receive. Born from my roots of inclusivity, my trunk of embodied presence, and my branches and leaves of mutual understanding, are the fruits of compassion. For me, compassion is a warmth that wishes all beings well. The seeds within this compassion fruit carry a prayer: “May all beings be happy and may all beings be free of suffering.” Loving-kindness, an essential aspect of compassion, is the warmth from which I want all of my actions to ripen. If all Earthlings carried this kind of compassion within themselves, how would our worldviews, our choices, our relationships, and our planetary home evolve? Living this question, I offer my compassion fruit to the world. The four values that make up the tree of my life are examples of the way in which I practice integral ecology, a way of acknowledging, honoring, and respecting the complex web of creation on Earth. To me, integral ecology needs all of these aspects – embodied presence, inclusivity, mutual understanding, and compassion – in order to reconcile the apparent conflicts that exist within our complex wholeness. As an ever-evolving human being, I pray that I can fully embody the wisdom of this tree of values. The wind blows and carries off a few of my leaves. They will die and nourish the soil that we share. My roots are contiguous with the wondrous and incomprehensibly extensive mycelium network that weaves itself through the Earth. It reminds me that my life is not separate from any other life on this planet. Animals enjoy my ripe fruits and are filled with sweetness. As they go off to play, they slowly digest what they can of the seeds I have secretly planted in them. In the body of my trunk I feel a calm presence… I am home.